As a public employee, I am prohibited from advocating for or against anything on the ballot. However, as the superintendent of our community school system, I do have a responsibility to inform the public on matters related to our schools and this includes the two election questions Eagle County Schools has on the ballot this fall, known as 3A and 3B. When discussing these, I am bound by law to provide a factual and balanced perspective. In this column and next week’s, I will discuss the district’s proposals in some detail — first, the mill levy override (question 3A), and next week the bond issue (question 3B). To ensure the aforementioned factual and balanced perspective, I will rely on language submitted to the district for inclusion in the voter guide, which Eagle County voters should have recently received in the mail. This document is available online at http://www.eaglecounty.us. District staff was tasked with summarizing the pro and con arguments for questions 3A and 3B into statements of 500 words or less. In all, the district received 10 pro statements and 2 con statements for questions 3A and 3B. The pro-3A statement notes that a “yes” vote will fund critical operating needs, positively impact students, strengthen property values, increase business development, and improve all Eagle County communities. • Recruit and retain quality teachers and staff. • Restore programs like art, music, technology, counseling and physical education. • Replace outdated textbooks and learning materials. • Expand services in the district’s current preschool programs. • Fund ongoing maintenance of school facilities. • Fund transportation to improve safety and reliability. • None of the override monies will go toward senior district administration. • The funds sunset (goes away) in seven years. • A citizen oversight committee will monitor all of the spending. The pro-3A statement notes that funding to Eagle County schools has been cut over $40 million in the past five years and Colorado ranks 47th in funding. There are no solutions on the way from the state and we must solve the issue locally. The pro-3A statement notes the tax impact, calling 3A an investment of $1.90 per month ($22.80 annually) per $100,000 of a home’s market value that provides $8 million annually to support schools and students — about two trips to your favorite coffee shop per month. Also, most of the tax funds generated by this proposal will be paid by taxpayers who are not permanent residents of Eagle County. The statement concludes that the future surgeons, scientists, educators, entrepreneurs, artists and business owners of Eagle County depend on a “yes” vote for issue 3A. The con-3A statement says that schools use an outdated and expensive business model and could instead use technology and video lectures, eliminating the need for individual teachers to make lesson plans and saving on costs and time that would allow for more individual help to students. The con-3A statement also says that many prominent business leaders believe and fund free education models that will produce better results and that by eliminating education expenditures we could reduce the national debt and property taxes. The con-3A statement indicates passing this question will result in a new financial crisis, similar to 2008, due to increased taxes and fees along with rising interest rates. 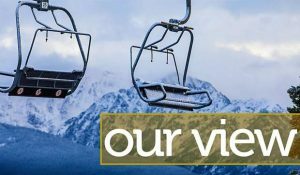 The statement also says that the Eagle County School District should live within its means, the district can find the money it needs in its existing budget, and that passage will ruin your children’s future with increased housing costs. The con-3A statement says that the school board is not to be trusted and intentionally misleads, saying one thing and reporting another to the Colorado Department of Education. The statement continues to say Eagle County teachers are paid more than adequately given how little time they work, that class sizes are relatively low, that teacher turnover is not a problem, and that the superintendent makes too much money. Looking at just the arguments submitted relative to 3A, the con statement says that teachers are not guaranteed any additional salary increases in these proposals and asks you to vote “no” on this issue and ask the tax increase proponents to spell out exactly what the funds will be spent on. Colorado’s system of government relies heavily on “direct democracy,” meaning that citizens get to vote on important matters such as these. I encourage you to be an informed and engaged citizen on this issue, apply your critical thinking skills, and vote accordingly.